"May remind you of Mega Man, Castlevania, or Dark Souls!" Yacht Club Games — the new studio formed by ex-WayForward staff members — has revealed its first project via a Kickstarter campaign. Shovel Knight is a 2D platforming epic which calls to mind the 8-bit NES era, and is described by the developer as "a hot mashup of new and old that may remind you of Mega Man, Castlevania, or Dark Souls". 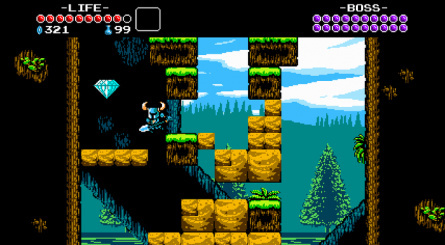 Shovel Knight is a sweeping classic action adventure game with awesome gameplay, memorable characters, and an 8-bit retro aesthetic. 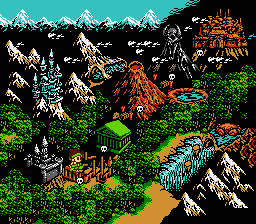 It's a hot mashup of new and old that may remind you of Mega Man, Castlevania, or Dark Souls! You play as the eponymous Shovel Knight, a small knight with a huge quest. 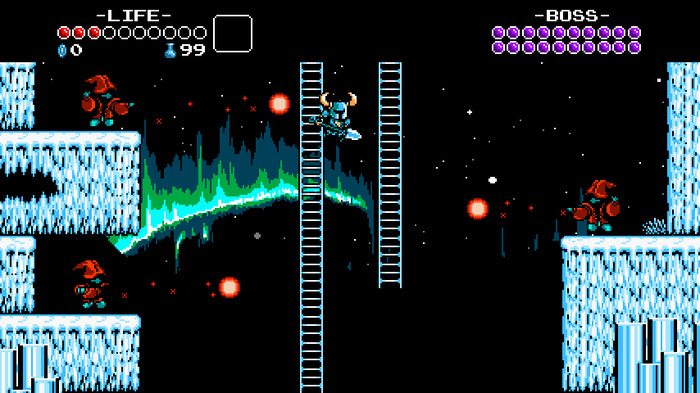 Shovel Knight has come to this valley with two goals: to defeat the evil Enchantress and save his lost beloved. He wields a ShovelBlade: a multipurpose weapon whose techniques have now been lost to the ages. Always honest and helpful, Shovel Knight is a shining example of the code of Shovelry: Slash Mercilessly and Dig Tirelessly! 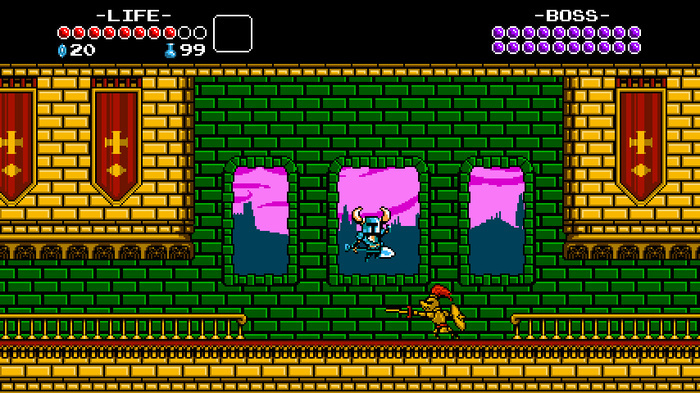 But, between Shovel Knight and his beloved stands a cadre of villainous knights. These terrible foes, known as The Order of No Quarter, have been dispatched to prevent Shovel Knight from reaching the Enchantress, and will pursue their mission at any cost. If you love games with perfect platforming, beautiful art, infectious music, crazy bosses, and real heart… Shovel Knight is for you! Yacht Club Games is looking to secure $75,000 to create the game, of which it currently has just over $7,000 with 29 days to go. Although the game is coming to the PC at present, the developers have confirmed that they also hope to bring it to the 3DS and Wii U. 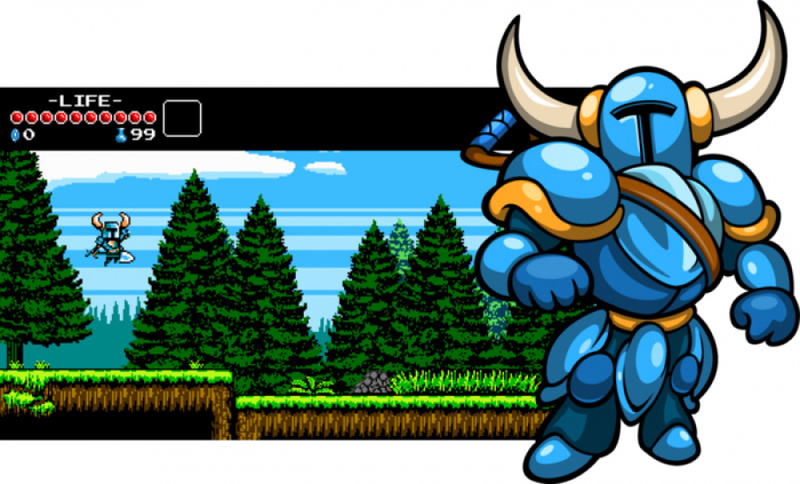 Will you be investing some cash to see that Shovel Knight gets made? Let us know by posting a comment. I have to say, this looks pretty sweet. I'm just going to ask it-- what's up with the sudden surge of retro-trying-to-copy-old-classics-games? I think it's a bad time for all these kickstarters- I mean, the market is already so saturated. Looks awesome, I see some Duck Tales influence. This looks fantastic. Pledged already. 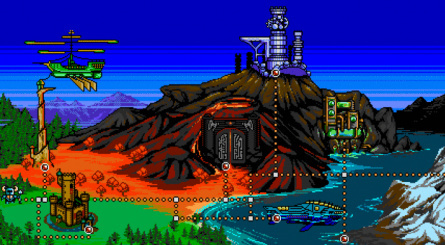 @neumaus There's a lot of retro games coming out, but most are not very good. This looks incredibly polished and well designed. This looks incredible. But, with Mighty Switch Force still not on the Australian e-shop, I'm reluctant to contribute to a kickstarter for a game I may never see Downunder. This looks fantastic! Like @THE-WOLF, I'd donate in a heartbeat if I knew for sure it was coming to Wii U... but I probably will anyway. Their Kickstarter says they'll be showing a demo level at PAX East so I'm definitely going to make getting to that demo a priority next weekend. @SpaceKappa @THE-WOLF Pledge a small amount and write in the Kickstarter comments a promised Wii U version would make you raise the amount. Much more than Castlevania or Mega man, it reminds me DUCK TALES... look at how the hero is jumping from brick to brick by using his showel as a pogo stick... just like Uncle Scrooge in the old Capcom NES game. @Cesco That, and Zelda 2, when he battles a monster with a shield that blocks in different directions. Looks really good, hope it makes it to 3DS and Wii U! If it succeeds, deciding between 3DS or Wii U versions will be the toughest choice of my young life. If this comes out to Wii U or 3DS, I'll instantely buy it! 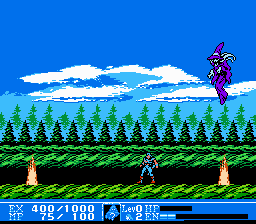 Yeah I'm getting that duck tails feel as well but the character reminds me more of ghosts and goblins. The way he moves and looks! yeah, this one looks very cool. i'd love to have it for the 3ds. Although sometimes I can't help but feel that all these retro inspired indie games are kind of over saturated, I won't deny that I really like the looks of this one. I'll definitely keep an eye on it! If an eShop download were a possible reward I'd have already backed this. But I don't have a PC, and I'm just selfish enough to refuse to back a game I might never be able to play. The music! I guess I'm in. How about a Mac version also? Plus, I'm not even sure if they'll get it on Nintendo systems. Who knows? If these guys sold one of their yachts they'd already have the money. I would certainly buy this on the 3DS eShop, if it did get made. Looks a lovely little gem. Hope they make it, this looks a lot of fun. Looks awesome! As a Mega Man fan, this game looks very pleasing. It looks like I'll be getting the PC version during a sale in the future. 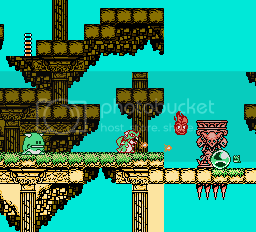 Looks awesome, feels like a retro arcade style action side-scroller. This feels like a must-buy game for me. The Duck Tales influence makes me interested! I'm a WayForward fan so I'd buy this on either Wii U or 3DS. 1. That is an awesome title. 2. That might be one of the best newer 8-bit songs I've heard. Gets me pumped! Yeah! 3. I love how every other kickstarter describes their game as "a mix of all the games you played as a kid....and Dark Souls!" They know their audience. I really hope this one comes to the 3DS. It's very interesting indeed, but there are not enough details and I prefer to read reviews first. Having said that, I sense I'll love it if I ever get to play it. I don't invest in kickstarter campaigns, but I will buy the game if it sees the light of day. Wow this game looks amazing, I may choose to back it if Wii U becomes a stretch goal. Hey that's great news! I really like the looks (and sounds!!) of this and I'd love to play it on the Wii U! pretty cool, if they have to choose, skip 3ds and bring it to a home console. ...For a moment, I thought the title was "Shovelware Knight"
Looks cool. Hope it comes to the U.
I agree with above poster, I too though it said "Shovelware Knight"
Anything from anyone who worked with Wayforward should be good. Looks pretty cool. is this a bad thing?, no it isnt. This looks so impressive! Hopefully this gets enough support to make it to the 3DS and Wii U. 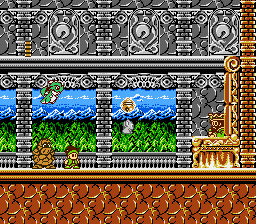 Little Samson is one of the best NES games, I definitely see a similarity there. ... I really wish Little Samson was on the VC. This game looks AMAZING!! This needs to come to Nintendo consoles. Not bad not bad at all........looks like is gonna this game is super hard to! Which is great way to many games hold your hand these days. Hmmm..... It's goal is $75,000, it has $17,051 in donations, and there are 29 days 'till the end of the kickstarter. It'll make it. Just a reminder guys, this game is going to be shown off in Nintendo Force. Which means it probably is coming to the Wii-U and/or 3DS. "Prepare to taste justice, Shovel Justice!" Awesome. Awesome to the max. Did anyone besides me immediately think Duck Tales NES when they saw this? Anything that's like dark souls is going to be a good game I'd buy this if I was given the chance! Looks great hope it gets funded. Anyone want a game like actraiser? I do.